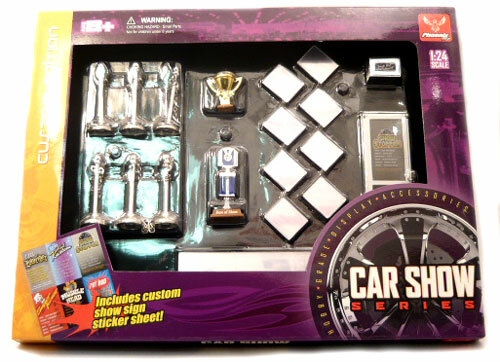 Check out this Car Show Series 1:24th Scale by Phoenix Toys Hobby Grade Display Accessories. You too can set your cars up just like the car show's. This set comes' with one large mirror, eight small mirror's, two trophies, a Look but Don't Touch sign, one story board with five changeable signs. It also has the protective chain to go around your car. This is a must for your favorite car.